I have become a whimsical traveler. No true destination, I'm just going. It took me 7 months to get the speed out of my foot. What a joy to just sit back and enjoy the ride. I had belonged to Boondockers Welcome years ago, but let my membership lapse, lost my password, so started anew. I started full timing in May 2012, what a pivotal year for me. Never dreamed I would be full time, but am loving the opportunity, love seeing what the unknown offers, the exploration, the challenges, new discoveries and the lazy days in my Lazy Daze RV. 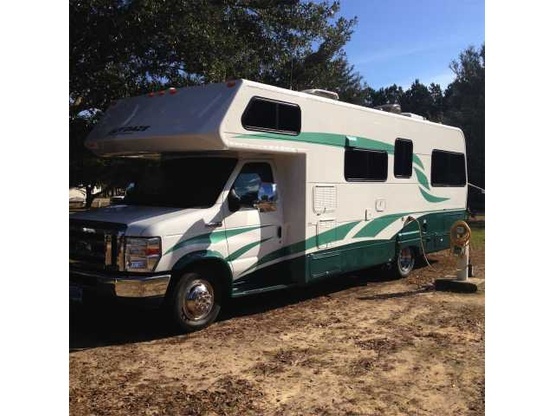 2011 Lazy Daze RV - Class C motorhome. 27' long. No slides.